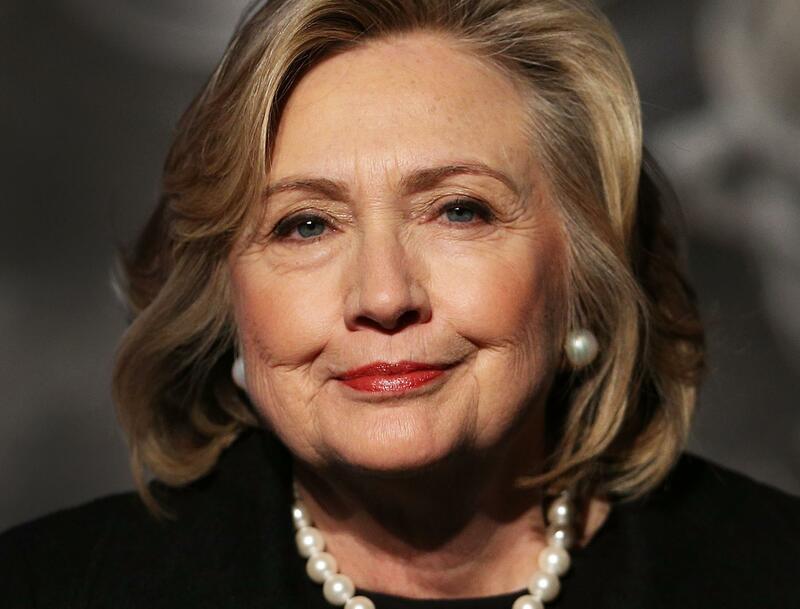 Hillary Clinton remains the top Democrat candidate for presidency. But she is a disaster waiting to happen. Conservatives obviously are attacking her character, her credibility, and competence as a prospective president. All of that is to be expected on both sides in campaign season. Liberals and democrats, however, are not just setting up for typical conservative counterattacks. With a strong candidate the biggest risk Dems would face is a narrow loss. Not with Hillary, with her the risks are far greater and the assurances far weaker. They could really ruin their presidential hopes in 2016 if they put all their eggs in the Clinton basket. To see how this plays out, imagine if you will that Hillary is a Republican. 1) Corruption at Clinton Corp. If Hillary Clinton were a republican the “Clinton Foundation” would be characterized as crony capitalism. The liberal/ democrat brand reveals deep seeded hypocrisy when supporters excuse apparent “pay to play” campaign favortism from their candidate but villainize republicans for the same behavior. Republicans have some steam this election cycle and a lot of undecided libertarians and bluedog democrats won’t like such hypocrsiy. Bear in mind the “Clinton Cash” scandal has only just begun. A criminal investigation is looming, and there’s at least a remote possibility for an indictment, a devastating liability. Democratic hopes for the presidency in 2016 are tanked if Hillary’s the party nominee, and she is indicted. That is not a good wager. It won’t be enough to say that the “system” is corrupt but Hillary is innocent. Perhaps the Clinton Foundation had some financial indiscretions in the Ohio office, or an Egyptian videographer is to blame, or some bumbling mailman sent all the uranium shipments to Kazakstan. No Hillary is too clearly implicated in the public eye. The whole flap about her private email might have blown over, and the public might have forgotten how she persisted with an illegal email account using a home server allowing full “shreddability” for anything she sends. But then the Clinton cash situation settled in. That scandal now threatens to unearth a whole history of scandalous behavior from cronyism, conspiracies and corporate corruption, to covering for hubby Bill’s indecencies. All this mounts to a decidedly nasty side of Hillary’s character that’s positively unflattering to the “everymom” image she needs for campaign season. To cap this off, Hillary’s speaking fees are higher than most anyone else in the world, and that hardly speaks to her eloquence. She’s topped only by Donald Trump. In politics, when someone pays you $300,000 to speak at their business, organization, or college, it’s because they want something from you. And if you are willing to speak at that rate, it means you are willing to do a favor for them. All of this behavior doesn’t so much make her look like a republican but rather, it makes her look like the democratic caricature of republicans. In that way, she’s bad for the democrat brand. In 2012 the Democratic party hoisted a battle flag: “End the republican war on women.” Obama won the election under this slogan, together with some help from the IRS stalling tactics against conservative non-profits. But the past is behind us. Today, we live in a different day. We can expect Democrats to hold strong to this classic narrative of republican violence against women. But the prolife movement is growing. Antiabortion legislation is advancing. The Gay marriage debate and race relations have absorbed a lot of the cultural momentum. In turn, some feminist agenda items have deflated a bit, like employer funded contraception. And the popular perceptions of feminists is no longer Rosey the Riveter, but a shrill grievance collector. The feminist narrative will sound plausible to a lot of liberals, but their voting loyalty was never in question. To moderates, libertarians and establishment republicans the “war on women” narrative seems overblown, pushy, and misleading. There is a war on women, but it looks more like forced marriage, spousal abuse, and honor killings. But those outworkings of Islamic Sharia don’t fit the “war on women” narrative so they don’t get much billing. It’s not that gender issues don’t matter, or even that gender equality has been fully achieved. It’s more like Hillary’s gender is irrelevant. She might get a smidgen more votes because she’s female, but she doesn’t exude enough stereotypical femininity, and republicans really don’t care whether a democratic or republican candidate is black, white, or hispanic, male or female, in her case, they really don’t have anything to gain from making an issue of it. Republicans will be called bigots, sexist, and idiots no matter what they do. They’re used to the liberal slander. Actual republican candidates made no issue whatsoever about Barak Obama’s race, and neither will they make any issue out of Hillary’s gender. Democrats will try to push gender into the discussion. But with enough pushing, it will start to look like they don’t have much else to talk about except accusations of bias, twisted stats, and sloganeering. In short, Democrats don’t stand to gain enough votes over her gender to make her worth the risk. It’s becoming clear that Hillary Clinton is cloaked in secrecy. That doesn’t mean she must be doing evil dastardly things in smoky rooms. But, it does mean that she has left plenty of room for that option if she needs it. She hides emails. She deletes them prior to investigation running the server out of her basement. She covers for Bill accusing vocal victimized women of fabricating a “vast right wing conspiracy.” She obstructs military investigations, blames others, avoids responsibility whitewashing the memory of those dead Americans. Even in the hours before they died, she helped plan a marketing angle to cover the truth, to save face. That’s dark. She exploits her power and manipulates for money (Russian Uranium). The very fact that she didn’t kick Bill to the curb a long time ago suggests she is either a uniquely loyal women or she’s an opportunist. Given her hundreds of millions of dollars she’s acrued by staying a Clinton, the latter option looks more likely. If Hillary were a republican then she would have been disqualified from candidacy at least three times over with Benghazi-gate, Email-gate, and Uranium-gate. She simply cannot be trusted. Add to this suspicious position the fact that Obama’s administration has shattered all promises of being the “most transparent ever.” Clandestine is more like it. Obama’s made Nixon look amateur. And Hillary shows every sign of being an establishment democrat, in solidarity with Obama, except she promises to add ever more secrecy and scandal to the mix. Republicans already don’t trust Hillary. Neither should Democrats. The Democrat party would do well to give up on Hillary. That’s my word of advice as a political commentator. As a republican-leaning voter, I’m actually rooting for Hillary’s nomination. I’m a free-market guy so I welcome the free competition of the democratic process. I think republicans have a strong class of candidates this cycle, so we can handle things either way. Hillary seems to be the strongest candidate right now for her Party, but I don’t see that lasting. I expect full implosion when the media and republicans collectively apply scrutiny to her accounts. Plus, she hasn’t proven herselt to be a good speaker, wise communicator, or anywhere near as trustworthy as she needs to be to win the needed votes. She speaks not to reveal but to hide. She communicates darkness and obscurity, not enlightenment. Nor has she a record of accomplishments to prove that she’s public servant at all. But what is the presidency but the foremost role of public service. For these reasons, I don’t think she’s the strongest option, nor a winnable option for Democrats. If they want to win they should groom a different candidate for office. But those rooting republican can safely root for Hillary. I’d say that the main reason is that she isn’t meaningfully liberal. She seems to come out for the liberal position only slightly after it becomes a majority position, and is otherwise your standard hawkish plutocrat. Please explain. She’s liberal by most standards but there’s been a hard left shift among liberals of late. Politics has been more polarizing lately. So the liberal left might include a lot more “left” of her than it did before. Colleen, I’m happy Hillary lost and very hopeful, optimistic even about a Trump presidency. True, I would have preferred a more conservative Republican nominee but Trump has a very impressive “Contract with the Voters.” And I’ll give him credit for dethroning Hillary. ← Apologetics Tip #17 Speak As You Would Like To Be Spoken To.